Casimba is one of the very newest casinos to make its presence online in 2017. In a short time, it has been able to make its presence known and is growing in popularity rapidly. This is partly due to their focus being placed on offering a full selection of games and emphasis on their customer experiences. When one looks at the large number of casino software providers that Casimba has taken on board it explains why they are able to offer more than 500 games to chose from. The slot game selection at Casimba casino is extensive. There are over thirty progressive jackpot slots to choose from so there is no shortage of excitement when it comes to the anticipation of some huge winnings. Not only does this Casino have all of the popular table games it has some great selections within each of the categories. In the Blackjack section, there are eleven versions to choose from. Roulette lovers can choose from four different types. Poker players will surely find their favorite game here which includes Casino Hold”em of Three card poker. Most casino enthusiasts are now enjoying live dealer gameplay and Casimba has been sure not to disappoint as they offer a great section of live dealer play. This includes Roulette, Blackjack, Dragon Tiger as well as several others. Mobile play for Casimba is offered through their mobile app which offers a good selection of games with no compromise in quality. It is developed with HTM5 which means it functions well on most common devices such as iPhone, Android, and Windows phone. Casimba offers the major and most well-known deposit options which are Paysafe, Neteller, Skrill, Visa, MasterCard, and Interac. Withdrawals can be made via Bank Wire Transfer, MasterCard, Neteller, Paysafe Card, Visa, iDEAL, Skrill. Withdrawal time is determined by the withdrawal method chosen and can range between 24 hours and seven days. Languages accepted are English, Finnish, German, Norwegian and Swedish. Casimba strives to provide 24/7 support through e-mail and live chat. This is something very good for you as a player. Casimba Casino is registered under Maltese law. It is licensed under the Commission of Great Britain for the protection of players in the UK. Worldwide players are protected under the Malta Gaming Authority license issued to Casimba. 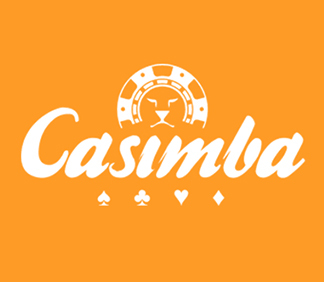 Although Casimba is a new casino they have been able to make their presence known on the internet. They have managed to do this by going big with their game offerings which allows them to appeal to more players.